Is there a best way to breathe while running? Or is it just a case of what comes naturally to you? Surprisingly, you’re not alone for wondering about this, and at some point or another, we have all asked our running friends for help. As a running coach, I’ve encountered this how to breathe running question on more than few occasions and I think it’s important for beginners to understand how they should approach the sport from the very basics. I’ve heard people advocate breathing in through the mouth and out through the mouth, using slow breathing rhythms, and all sorts of nonsense. Nothing irks me quite like the spread of misinformation, especially when it pertains to training topics. Therefore, I am happy to help set the record straight today, by showing you how to breathe easier while running, so you can get back to enjoying your training without feeling like your lungs are going to explode…yes, even if you have asthma! Should I Breathe Through My Nose or Mouth While Running? You should always breathe in and out primarily through your mouth when running. If your nose wants to join the party and help get air in and out, that’s great. However, when you’re running, feeding your muscles the oxygen they need is of paramount importance, and breathing through the mouth is the most effective way to inhale and exhale oxygen. To make the most of your breathing, make sure you avoid “chest breathing” in favor of what’s called diaphragmatic breathing or “belly breathing”. Why is chest breathing bad? Chest breathing is a weak form of breathing. It’s too shallow to bring in maximal oxygen and doesn’t fully expel your lungs when you exhale. This may be why you keep getting a side stitch when you run. Instead, your breathing should be diaphragmatic, meaning the action of inhaling and exhaling extends down into your stomach. As you breathe, your stomach should expand and contract as your diaphragm forces air into and out of your lungs. Your chest, meanwhile, should remain mostly still, but you’ll take in more oxygen with every breath. The next time you go running, be aware of your breathing and your natural inclination to breathe through your nose or mouth. If necessary, focus on making the necessary corrections and taking in breath through your mouth. It may be a struggle at first, but you should eventually be able to transition to a better breathing technique, and do so without thinking. With any luck, you’ll notice an improvement in your running efficiency and performance. How Can I Train My Breathing Muscles To Run Better? Just as we strength train our hips or hamstrings to improve our leg strength, we can strengthen the muscles used for breathing. In fact, researchers at the Centre for Sports Medicine and Human Performance at Brunel University in England demonstrated a direct link between the strength of your diaphragm and fatigue during the marathon. We also interviewed world expert, Patrick McKeown on our podcast in an episode dedicated to how to breathe while running and he recommended exercises to help. The easiest way to start is by lying on the ground. While lying on your back, breathe deeply so your belly rises with your chest as you inhale, and lowers while you exhale. Feel your abdominal muscles contract, and try to hold the tension as you breathe out as well as in. Watch your chest, does it rise and fall also? You want to get to the point where you do not see your chest moving, but your belly is expanding (think making yourself get fat). Continue to practice this while lying down until you feel confident to move upright. Once you have this trick down, you can move on to pilates exercises. Pilates help stretch your intercostal muscles and lengthen the spine, which helps improve breathing and running. 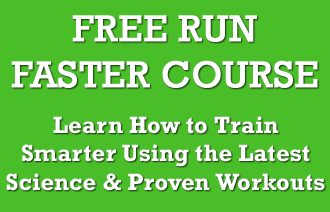 Download your FREE breathing guide for Runners inside your Insider Members area. It’s a PDF with images and descriptions of the most effective pilates exercises to strengthen your body while relaxing your mind. What Rhythm Should I Be Breathing to? Your exact breathing rhythm will depend on how hard or easy you are running and/or the intended intensity of your workout. What is breathing rhythm you ask? Breathing rhythms refer to the number of foot steps you take with each foot while breathing in or out. For example, a 2:2 rhythm would mean you take two steps (one with your right foot and one with the left) while breathing in and two steps (again, one with your right foot and one with your left) while breathing out. This is part of the method we recommend to stop a side stitch if you are out running and get that familiar side stabbing feeling. Typically, you’ll find that a 3:3 rhythm (three steps – one with your left, one with your right, one with your left – while breathing in) works best for warm-ups and most easy paced days. This allows plenty of oxygen to be inhaled through the lungs, processed, and then exhaled with relative ease. Don’t try to force yourself into a 3:3 breathing rhythm on an easy day if it isn’t feeling comfortable. Remember, the purpose of an easy day is to keep your effort comfortable and to help the body recover. If a 2:2 rhythm (described below) is more comfortable, go with it. Breathing slower than a 3:3 rhythm is not advised because you’re not giving your body enough time to clear carbon dioxide. The average runner should take about 180 steps per minute (some a little less, others a little more), which means you take 90 steps with each foot in a one minute span. A 3:3 rhythm enables you to take about 30 breaths per minute, ample time to process carbon dioxide while still getting in the oxygen you need. Runs harder than an easy run, but not all out race efforts, should typically be performed at a 2:2 ratio (two steps – one with your left, one with your right – while breathing in, two steps – one with your left, one with your right – while breathing out). A 2:2 breathing rhythm enables you take about 45 breaths per minute, which is perfect for steady state, tempo runs, and marathon pace runs. At the end of races or the end of a particularly hard interval session, a 2:2 breathing might not cut it. In this case, you can switch to a 1:2 (one step breathing in, two steps breathing out) or 2:1 (two steps breathing in and one step breathing out) breathing rhythm. This will increase your oxygen uptake to 60 breaths per minute. I don’t recommend a 1:1 breathing pattern. At this rate, you’ll be taking shallow breaths and you won’t be able to inhale enough oxygen to maintain proper ventilation in the lungs. On a personal note, I don’t pay much attention to breathing rhythms at the end of races. I prefer to run all out, focus on competing, and let my breathing take care of itself. However, it can be helpful to those runners who become anxious as the final meters approach. Why Will Fixing My Breathing Help Me? While breathing rhythms can help you identify and monitor the intensity of your run, you can also use them to monitor and control other aspects of your training and racing. Paying close attention to your breathing rhythm can help you monitor and “feel” your pace, especially on tempo runs or tempo intervals. Once you lock onto your correct goal pace for the workout, you can monitor whether you begin to breathe faster or slower to identify when you accidentally speed up or slow down. It requires close attention to detail, but it can help for runners who struggle maintaining a consistent pace. Many runners wonder how to adjust their pace when taking on a hill during a race, even if you are using the correct running technique for hills. Unless you know the exact grade and length of a hill, it’s very difficult to accurately measure how much you need to adjust your pace. However, if you’re maintaining a 2:2 breathing rhythm through the race, then you should focus on maintaining that 2:2 rhythm as you tackle and crest the hill. By maintaining the same breathing rhythm, you keep your effort even and prevent yourself from spending too much energy getting over the hill. If you encounter a side stitch while running, you can slow your breathing rhythm to take deeper, controlled breaths at a 3:3 rhythm. Often, side stitches are caused by undue stress to the diaphragm, which is escalated by shallow breathing. If your side stitch persists after switching your breathing rhythm, you can try this trick for side stitches here. As you can see, you have many ways that you can breathe and use rhythms to monitor your effort in workouts and races. Try not to become too focused on your exact breathing rhythm every step you take. Do what feels comfortable and you’ll usually wind up falling into the proper rhythm by default. my throat gets dry when i breathe in through my mouth and its very uncomfortable. should i drink more water before running? or any way to overcome this? Yes, you should try drinking more as this is probably a sign you’re slightly dehydrated. It could also be that you have a dry mouth in general. Try chewing some gum, which will help generate saliva and keep your mouth more moist. It sounds like you love in a very hot, dry climate. Great tip Mark! Thanks for sharing! Some will have to be careful not to choke on it, especially when running hard, but that can definitely be used other times. What candy do you usually like for that? I run high school XC. I’ve never had problems with breathing, but recently, after fast interval workouts (like 400s), we do a pretty hard tempo pace run afterwards. During this afterward moderate-hard run, my breathing has been shallow/high up and I can’t seem to take very good breaths. How can I fix this? Hard to say, Gordo. It might be a mild case of exercise-induced asthma or it could be the colder weather (not sure where you live). My breathing can get pretty shallow when it’s cold too – I think this is probably the same issue. Hi Jeff, thank you for another great article. This one on breathing has helped me become less of a slave to my Garmin HR readings for judging ‘comfortable’ pace. However what you suggest here on breathing rhythms somewhat contradicts what you have said elsewhere. In this article, you say that ‘steady state’ runs should be at 2:2 rhythm, but in the article “How to feel your pace: What running workouts should feel like”, you say that steady runs should be performed at 3:3 rhythm. My experience tells me that steady runs require 2:2 breathing. Can you please clarify? Great question, Anand. Basically, I wrote this article before the second in which I recommended the 3:3 rhythm. In essence, I changed the number because I found too many athletes pushing that 2:2 rhythm and not staying within the steady zone. To help explain, steady pace is a pretty wide range because the aerobic threshold you’re trying to target has a big pace range. For example, it may be 6:45 – 7:20 pace for a 3:00 marathoner. However, anytime I assign a pace like that, an athlete always thinks “I have to run as close to the faster time” as possible, even though the slower one is just as good. This translates to the breathing rhythm. If I assign a 3:3 rhythm, it keeps them in this slower pace range for longer whereas 2:2 tends to get them running faster. If you have good control over what you know steady pace feels like, 2:2 works just fine. But, if you’re worried about running too fast, 3:3 is better. Hope that makes sense! Thanks Jeff, that makes sense. Cheers. To become a good runner, you will need to train to use the 2:2 method. but if you are just running for fun…keep the pace you are at. I’d love to hear your view on total nose breathing. I use this as it works similar to the talk test. I find it keeps you at an aerobic pace. If you need to gasp for air then you are heading into anaerobic running. It’s also very calming. I ran 12 miles today doing this on an undulating route. I agree, nose breathing only can be a great way to slow yourself down. I find it’s uncomfortable, but if it helps you relax and stay focused on running easy, then it’s a great strategy for controlling pace. Nice tip! 🙂 it’s a great strategy indeed… something which could be studied more in debt. I’m wondering if using the pursed-lipped breathing technique would benefit runners during races. You inhale through your nose and pucker up and exhale through your lips. By doing so, it helps relieve shortness of breath and causes general relaxation. Hi Mike, if that works for you, then by all means keep it up! We love to encourage discussion here, and as you see, others have added what worked for them. Thanks for sharing! Hi I am currently a hs sprinter for both indoor and outdoor track. Should I begin trying the breathing during our warm up mile run and gradually work my way to the hard workouts and races? I have seen suggested odd numbered breathing patters, such as 1-2, or 2-3. They suggest that breathing on the exact same foot of your cadence could cause injury. Is this true? Cadence refers to the amount of steps you take with both feet in a given period of time (usually a minute), so you can’t really have a “foot of your cadence”. Do you mean when your foot strikes the ground? Regardless, your breathing rhythm has nothing to do with injury. Switching the rhythm can take stress of the diaphragm if you get cramps. I run early in the morning and find it difficult to eat beforehand, and although I don’t have any problems running on an empty stomach I’ve heard that having a snack before you run is better for weight loss. What do you suggest? I am in the army and I am wanting to get my 2 mile run down to 15:00. I am at 16:35 now. I breath through my mouth and I am told that if I learn to breath with my node I will build speed. Also my breathing on my 2nd mile get out of control. Is their anything I can do to learn how to control my breathing to finish the run in a sprint. Would be interesting to hear Coach Jeff’s thoughts on these points! I know you feel strongly on this issue. My experience with nasal breathing however has not limited my performance and keeps me much calmer and more focused during my runs. I’ve always been a 2-2 nasal breather (reasons unknown) down to marathon pace. After reading Body, Mind and Sport It took me about three weeks to slow my nasal breath rate to 12-15 BPM for M pace and around 18-20 BPM at my 10k pace (around 6:10 currently). A pulse/oximeter reading indicates full oxygenation of blood and I’m experiencing no loss (or gain) of performance while nasal breathing. I can maintain nasal breathing throughout most any effort until transitioning to gasping when reaching my anaerobic limit. I am a beginner in running and I am a bit overweight. When I started running I ran with some friends who are much lighter than me so I pushed myself hard. After about 10 or 12 runs I got better but I remarked that my breathing changed a lot. The upper part of my stomach became very tight which prevents me from taking deep breaths. And one more thing, when I take deep breaths and try to reflex the upper part of my stomach it makes me dizzy and sometimes very dizzy. I am a heavy guy, around 285 and I am training for a marathon my son asked me to run with him. I am slow and I am finding that it is my cardio/respiratory system that is getting tired way before my legs. How can I improve my breathing? I have tried to keep the rhythms/ratios you mention above but after the first mile or two I just huff and puff and I have not been able to actually complete a full mile without walking. I only have a pace of 14:45/mile and I really need to improve my lung functions in order to finish this marathon. your advise would be greatly appreciated! I found this a really informative website. Although I am merely a high school student, I take part in a lot of marathons. As for me, breathing through my mouth makes me feel like I am panting and I end up slowing down. I tried to continue breathing through my mouth and it keeps getting really moist. Is this a bad sign? Assuming I am looking far fwd, It feels to me that nose breathing enhance the capacity to carry the air in the belly where I want it to be as opposed to leave it in the lung, I find it with mouth breathing more difficult to carry the air in the belly. Hello Jeff !! Thank you for this great article !!! The first and second time I could merely run 1 km without stopping for some walk because I run out of breath not because I was tired. Hi jeff i am running in sunlight(30’c-35’c) what can i do to boost my speed and also how to avoid mouth to getting dry for 2 mile run in sunlight? I live in Texas and often run while it’s pretty windy. Recently, however, when running into the wind, I have a hard time catching my breath. I try slowing down, but a lot of the times, I’m forced to walk until I’ve recovered my breath. I’m not running fast – 11.5 min. mile. I would not consider myself a beginner runner; I’ve run several 5K’s and a 10K. I’ve had some health challenges this last year and a half, including being diagnosed with seasonal allergies, making me feel as though I have to “start over” after having to take a break. What breathing techniques – if there is such a thing – could you suggest for running in windy days, especially when running into the wind is unavoidable? Thank you for your help, Karen. Hey, jeff. I have to run 5 kilometres in 25 minit. My problem is when I rich at 3 km I can’t take breath with nouse. So what shall I do to increase breathing speed and my running speed. I sing in a ladies barbershop chorus and I am learning how to breathe like a singer by extending my belly out instead of raising my shoulders when I inhale. Should runners also breathe like singers? I am new to running and having a hard time with my breathing. It seems that, after a very short distance, I can’t catch my breath and need to walk more. My legs are progressing well – it’s always my breathing that shortens my run time. Any suggestions to train myself to breathe better? Thanks! Pingback: Running Tips: How to Breath When Running | Triathlon Training…Plan. Sweat. Succeed. I do mouth breathing when I run, but I am finding that having allergies and post nasal drip get in the way and cause shallow breathing. Any suggestions would be great. Thanks. Hi Carla, your best bet would be to try to follow the suggestions in this post. Have you been trying them? Great article. I use to be a fairly competitive runner but now just getting back after injuries have taken me out for 5 years. For me, I find that to get to that next level, I will feel that my stomach (I assume stomach breathing) has gotten to the next level. As I have started up again and I noticed in other years as well when I was ramping up again. I have not felt good or felt at a certain level until my stomach feels part of my overall running style. Currently it feels isolated and not an effective part of my running. Rest of body is okay but my lower stomach (breathing,) is just along for the ride, its not as effective a participant in the overall running. As I improve, my stomach starts becoming part of my overall running and it blends in so it’s not feeling like it drags me down while running. this usually takes quite a lot of practice and mileage. Does this make sense? Or is it potentially something else? Thank you for answering back. Hi Francois, thanks for sharing. This may just be something that comes with time as you continue to train, and your body gets used to running again. It will take time, especially if you are doing it right, but you would be best of continuing to work on it, and if it still feels off, then we can look into something else. Please keep us posted, we would be happy to help! Sir i cant run fast ,i can run slow 5 kilometres but not in time. How can i reduce my time plz help me . I have found some useful tips although I have a quest. I have to run 1.5miles in 11min. Right now I’m coming in at 15min. Is there any tips on how I can make the time. Thank you. Hi Maria, unfortunately with running there is no way to cheat the system; what you put in is what you get out. You will just need to train more and be consistent with it. This article should help you https://runnersconnect.net/running-tips/5-beginner-questions/ Good luck! I’ve been breathing in a 3:2 pattern. Do you think that’s fine? Hi Mihir, whatever you find most comfortable is the best pattern for you! So I’ve always had trouble with running and I’d get out of breath easily but I never feel tired after the run. Is there anything I can do that would help me run 2 miles easier and not have me cramping up and out of Breath half way through? When I run I make little squeak sounds and my chest starts to hurt. what can I do to help this?